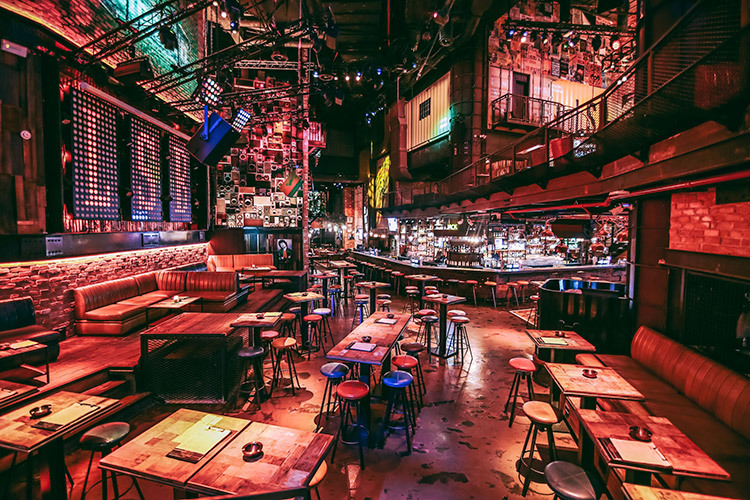 Located at the Grand Millennium Hotel in Dubai is Lock, Stock & Barrel, a venue that attracts people looking for a different kind of hangout. 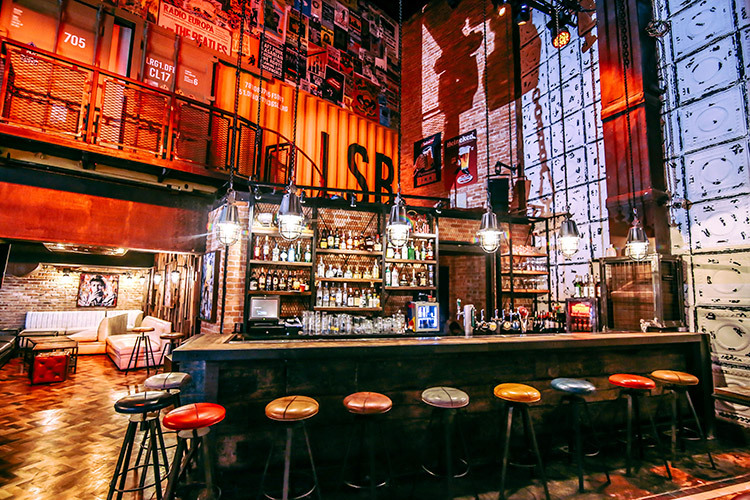 Lock, Stock & Barrel offers an industrial theme, away from all the glitz and glamour one would expect in the city’s glam nightlife. In fact, 90% of the materials used are recycled. The containers for the walls were taken from Jebel Ali Port, deconstructed and rebuilt around the place. 4000 reclaimed bricks came from a demolished factory in India. One wall features 300 second-hand loudspeakers dating back to the 1960s and 1970s. Several technical challenges had to be overcome, considering the position of the club, right in the middle of the hotel with guest rooms below and above. The venue actually is an acoustic box, fully sound proof to 120db. 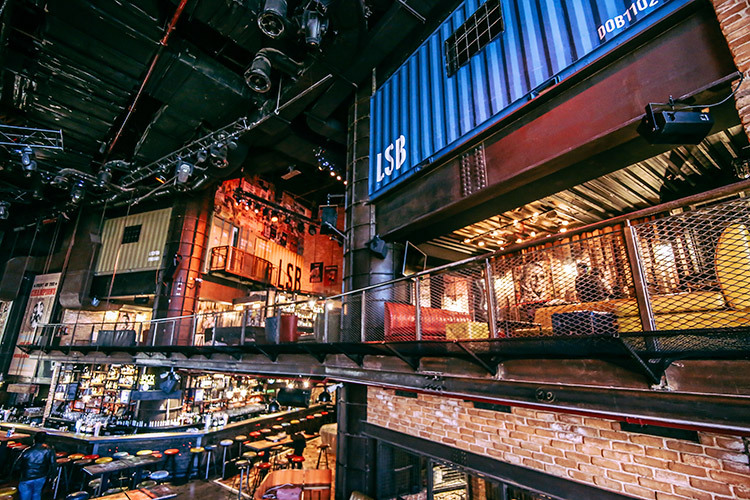 LS&B opens seven days a week and changes from a sports bar to an after work drinking place to a live music club venue. TW AUDiO’s distributor Prolab LLC provided a pumping audio system with the installation having been carried out by system integrator PULSE ME. “The design is very unusual for Dubai”, explains Joe Chidiac, Managing Partner at PULSE ME. 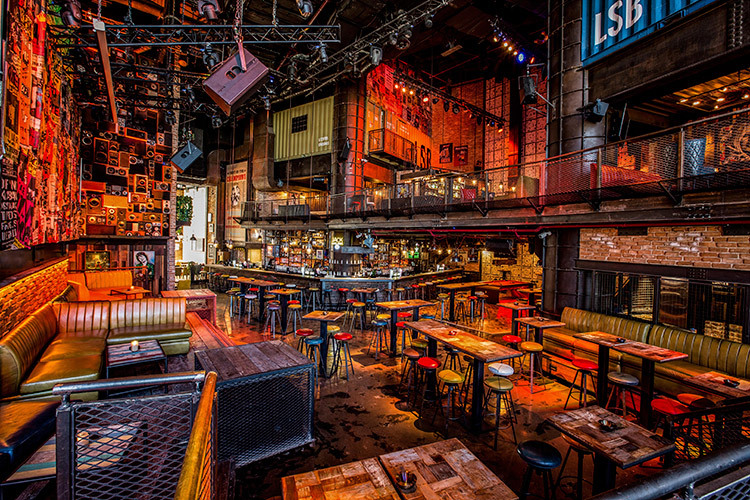 “No glamour, no plush sofas, instead there are raw container walls, brick walls, everything very industrial, yet it is still colourful and oozes a very cool atmoshpere.” When choosing the right loudspeaker system for LS&B it was important to understand its challenging acoustical environment, and as the project developed it became clear that the audio system had to be precisely aligned for the venue. For the stage the team of PULSE ME opted for 2 x T24N, followed by 10 x TW AUDiO M12 placed throughout the venue in combination with 8 x TW AUDiO M8 and 2 x TW AUDiO M10 loudspeakers. To cover the low frequencies 1 x B30, 6 x B18 and 5 x B15 TW AUDiO subwoofers have been installed. The system is powered by 11 x Powersoft K3DSP amplifiers. 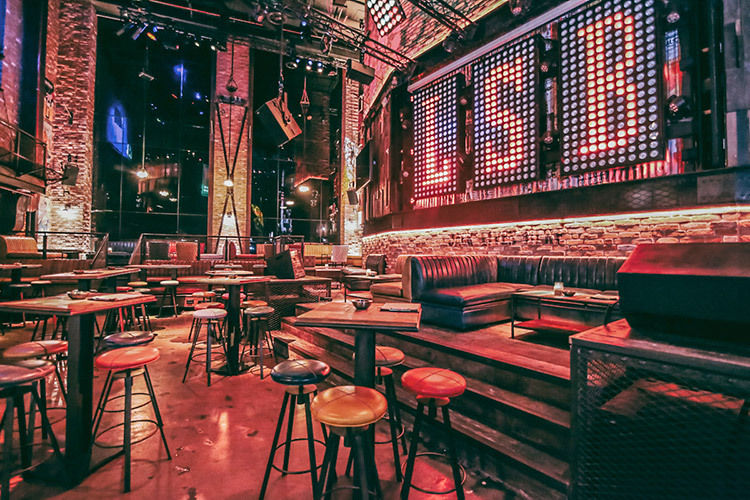 Best New Nightlife Venue – a recognition that was awarded to Lock, Stock & Barrel by Time Out Dubai Music & Nightlife Awards.